Today’s featured download includes a set of 25 Free Goods of this Month. They are all fully scaleable vector shapes, Flat Vector Icons, Web Buttons, Book Mockup, Line Icons, Mockup, Backgrounds, Flyer Template, Business Card and PSD Files makes it great addition to you next UI design. You can download the PSD from the link below. This free icon set contains 20 modern flat vector icons. Download a beautiful set of icons for modern projects including web design. Today’s featured download includes a set of 312 colorful flat icons created by Icons8. They are all fully scaleable vector shapes and makes it great addition to you next UI design. You can download the PSD from the link below. This free icon set contains Set of Colorful Pins Vector. Free PSD metal web buttons set that contains over 20 calls to action with a metallic effect. If you want to catch the eye of customers, don’t hesitate to download the provided archive for free! This is a free a5 vintage Spiral book mockup style with a realistic display and perspective. This is the first version with front cover view and inside view, another view will follow. Today we have for you a massive collection of more than 2000 free icons available in 2 styles: wired and colored. These icons cover a wide range of categories and come in multiple formats so you should definitely add this package to your library. Line Icons perfect for your next web project, especially a responsive one. 100 icon concepts with 3 different size and style versions, each of them containing various amount of details. riends, today’s special is a set of 18 free flat ecommerce icons that would make a nice addition to your design inventory. Macbook pro Mock up – it’s an awesome way to show your website or web based application. This freebie includes 2 flat vector wave geometric backgrounds in different styles and colors. Illustrator ai, eps, jpg and transparent png files included. today’s special is a set of Free Brochure, Business card, and workstation Mock-up that would make a nice addition to your design inventory. today’s special is a set of Free Musician Business Cards that would make a nice addition to your design inventory. Free PSD geometric flyer template designed in modern, abstract style with geometric shapes. 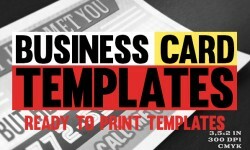 This creative flyer template that could come in handy for any party event. Don’t hesitate and download the fully layered psd sources now for free! A Simple and easy to edit Business Card Mockup by Vecto Designs. High resolution with 3000x2000px, changeable background and well organized. Don’t forget to share to download this mockups. Holidays time is coming, right? So we’ve decided that it’s time to release this sweet mockup with a festive mood. Easy to customize and use. Enjoy and have a great holiday season! Friends, today’s freebie is levitating business card mockup PSD template. This is a subtle and elegant mockup to showcase your front and back designs. You can easily add your graphics with the help of smart layers. Enhance the presentation of your product, brand or logo designs by using this awesome and free mug mockup with 7 realistic holding positions. A great freebie that comes with multiple customizeable elements such as the mug exterior, hand positions, shadows and backgrounds. today’s special is a set of Free Soda Can Mock-Up that would make a nice addition to your design inventory. Free PSD brand identity mock up made in classy and clear style. If you are looking for a stylish and impressive way to present your new branding, then this free PSD file is perfect for you. 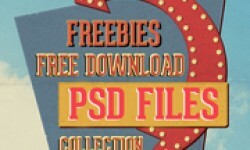 Don’t hesitate and grab this awesome freebie now! Free to download, this is a simple and easy to edit sign mockup from vectogravic designs to showcase your large printing designs. This is an elegant, black and gold stationery mock-up set including two scenes you can use to showcase your brand image. To get the refined look of your logo in gold or silver foil over black paper or leather, just place your design inside the smart layer. We’ve got something really original today! Four beautiful Vintage Motel Sign Mockups. They are easy to edit via Smart Objects. Customize text and vector-based elements, and have fun! Add a vintage touch to your project with this amazing resource. Friends, today’s featured freebie is a set of Nexus 5 mockups in vivid settings. All the PSD files include smart-objects that you can edit to add your own designs on the mobile screens. Grab them now! Friends, today’s freebie is an awesome collection of 16 MacBook Air 2015 mockups created and released by Designtory. The mockups are retina friendly and you can use them in any print or online project you have for free.